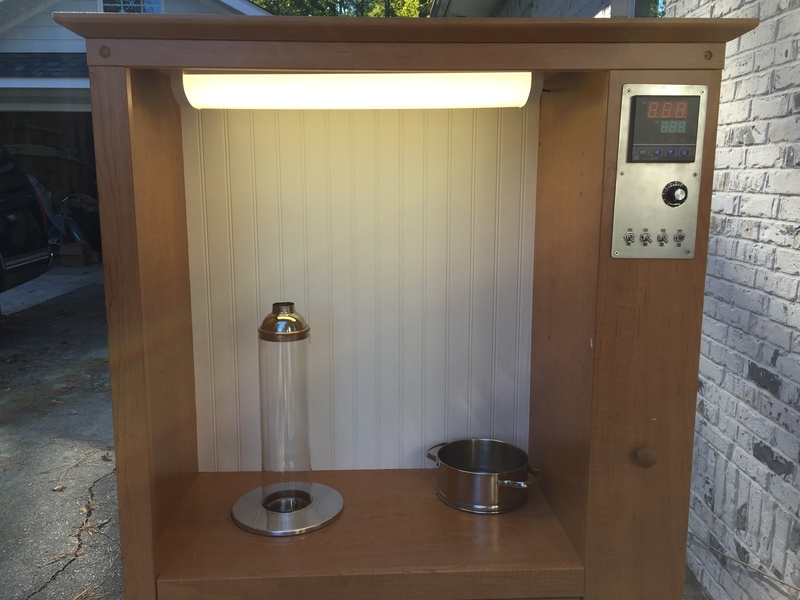 Homeroasters - Home Roasting Coffee Community - Discussion Forum: New Roaster/Cooler Build! 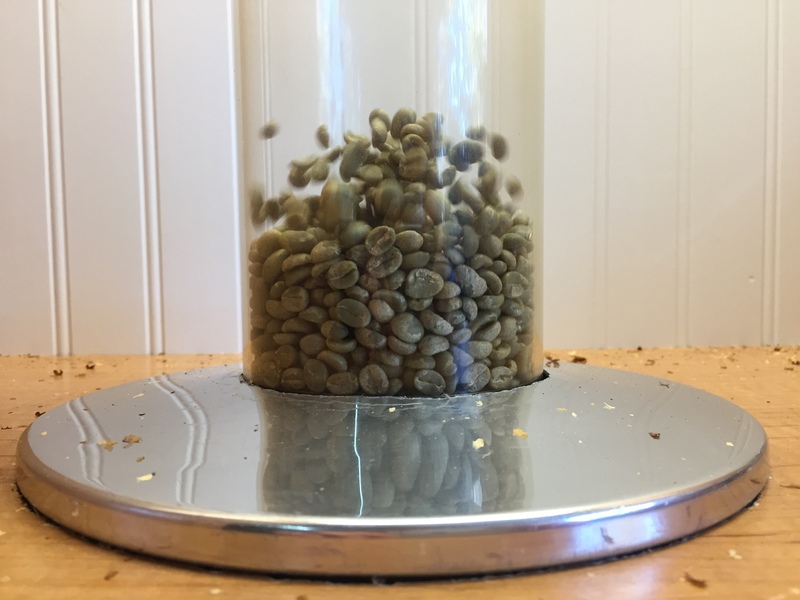 I began my home roasting back in 2017 with a popcorn popper, but quickly discovered my limitation. So the long journey began . . . This forum has been an incredible wealth of knowledge for ideas and parts sourcing, so I've decided to share my current project. 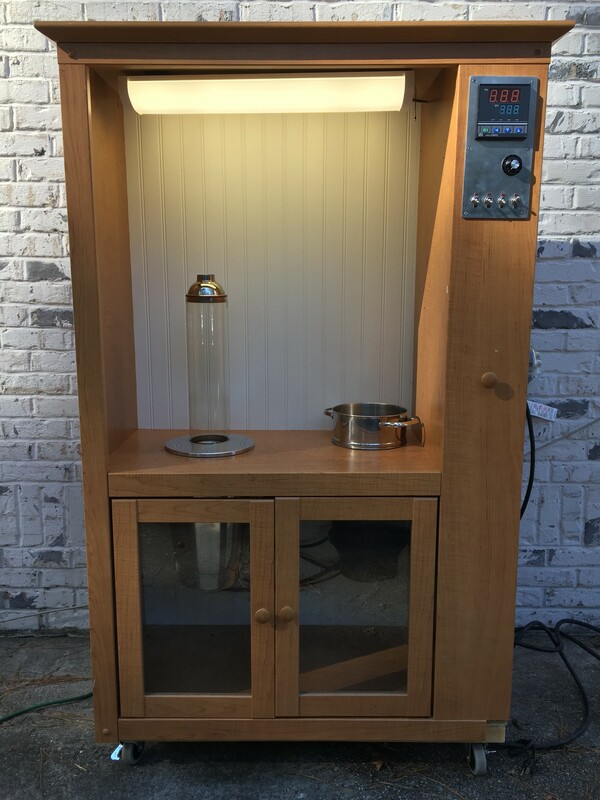 1lb fluid bed with glass roast chamber, housed inside a mid-mod Regal percolator body. 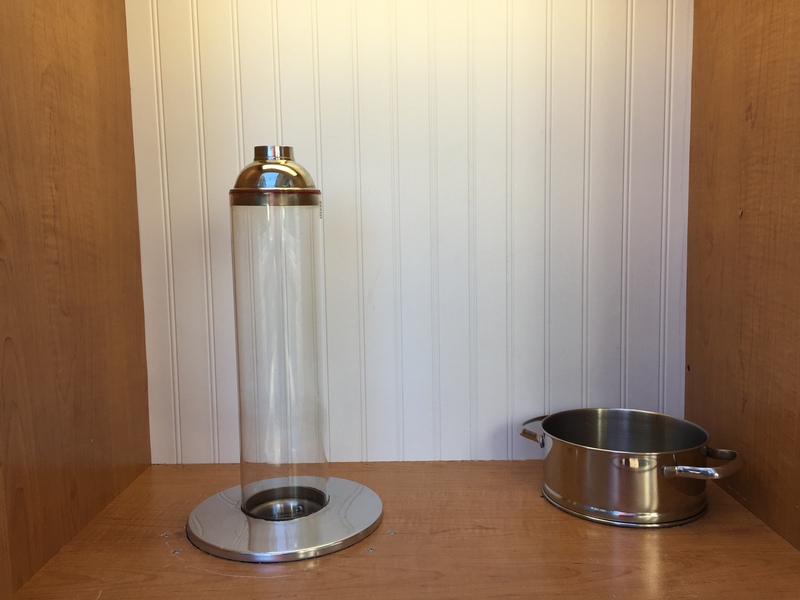 The "guts" (glass/sanitary stainless) are comprised of a mini vacuum motor inside a jumbo cocktail shaker and an industrial heating element. 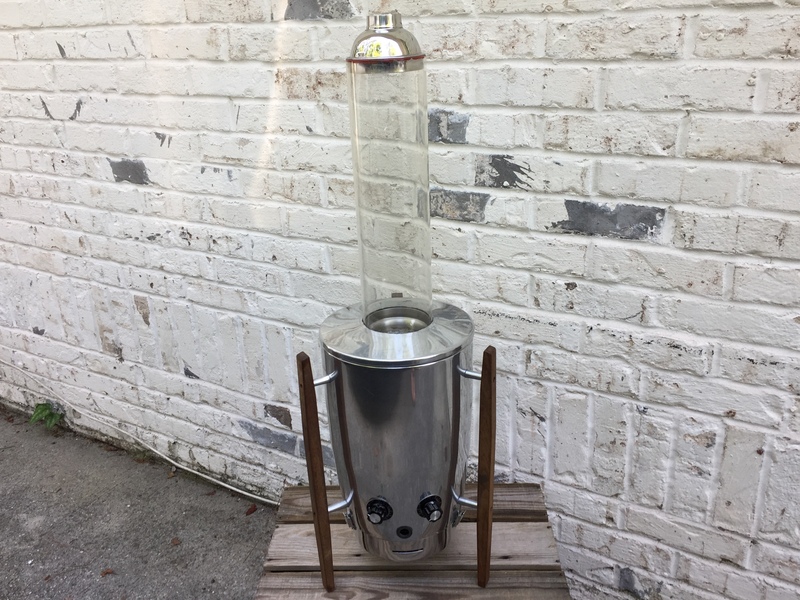 The roaster was originally a stand alone piece as seen in the second image, and while it had more aesthetic appeal by itself, it is much more practical to use installed in the enclosure. The bean cooler is my most recent addition by using a high CFM ducting fan sucking air down a perforated vegetable strainer. 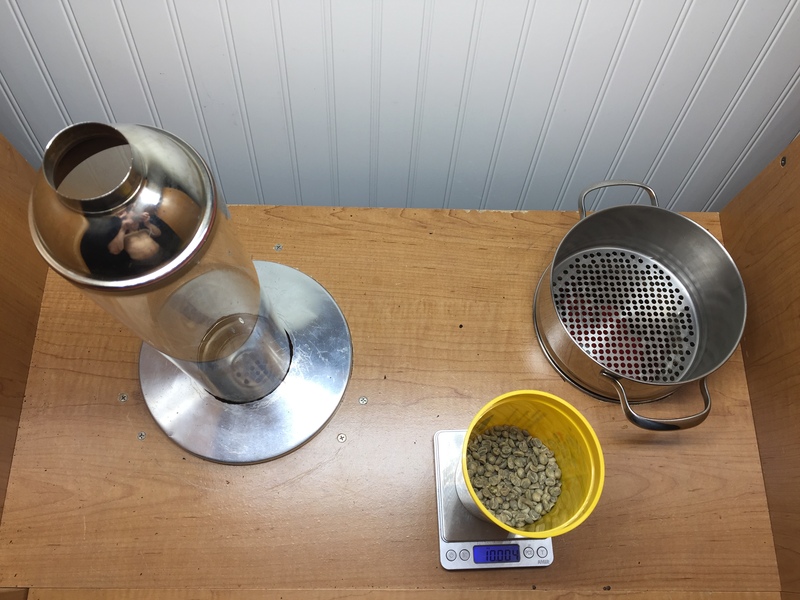 It is able to cool/de-chaff a pound of beans in about 1 minute, and is super handy because the strainer is detachable. I've installed everything in a TV stand which is extremely nice to have a central station - that even has wheels! There is a really nifty pop-out door on the right side which was perfect for installing all the electrical components. The heating element is controlled by an industrial heat controller, and logging/profiling is done with Artisan via Phidgets. The blower is manually fine tuned with a simple fan controller potentiometer. My build begin 03/18, and while there are several additions I'd like to make (exhaust, heat recycle, cooler chute, etc. ), it is finally at a good mile stone. To the whole Homeroasters forum community - Thanks for the ideas and inspiration!!! Any chaff trap during roast ? Smoke exhaust ? renatoa - Right now I just have a simple fine mesh bag filter attached to a pipe insert on the roast chamber cap. It catches 90% of the chaff which works good enough for now since I do all my roasting in an open-door garage. My next addition will be an exhaust system that will also act as a drop chute, chaff filter, and hot air circulator. I'm still in the design process, and also not in a rush to drop more $$ on stainless piping. Nice build. I like it!